Worried About House Removal Costs in Oldham? When it comes to residential moving, house removal costs in Oldham are one of the most worrying aspects for most people. Many either over estimate, under estimate or fail to budget for removal costs. Many removal companies out there will offer ultra-cheap rates just to lure in customers, but once the work has been carried out they hand an invoice to the customer that is filled with “hidden” costs. The customer usually ends up shocked and in argument with the removal company, but there is little room for recourse because most of us don’t bother to read the fine print in the removal contract. Hidden costs may take the form of extra manpower, extra time, packaging materials, moving van size, distance and labor to name a few. That’s why it is important to choose a removal company that is upfront about their costs and whose prices aren’t exorbitant. Where can you find such a removal company? In Oldham, house removal costs that are affordable are provided by Littleborough Removals. This company understands that there are many variables that can affect removal costs such the requirement for boxes, packaging materials, volume, distance traveled and whether packing assistance is required. Apart from the removal cost, any extraneous costs that may arise are discussed up front, preventing surprises for the customer. 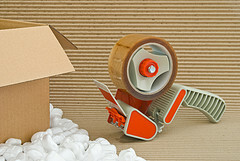 Littleborough Removals has over 15 years of experience in commercial and domestic removals. The company prides itself on providing a very high level of customer service, care and quality. They are a family owned and operated company that is experienced, friendly, helpful and most importantly honest! If you want to take the stress out of moving and are hoping for affordable house removal costs in Oldham, then opt for the services of Littleborough Removals. Other reasons for choosing Littleborough Removals include a fast and reliable service, fixed rates, no waiting charges, fully insured, long distance removal available, disposal of unnecessary goods, storage and packing services available and out-of-hours or overnight services are available. If you are looking for affordable house removal costs, contact Littleborough Removals. This entry was posted in Removal Company and tagged House Removal Costs in Oldham, Oldham House Removal Costs. Bookmark the permalink.